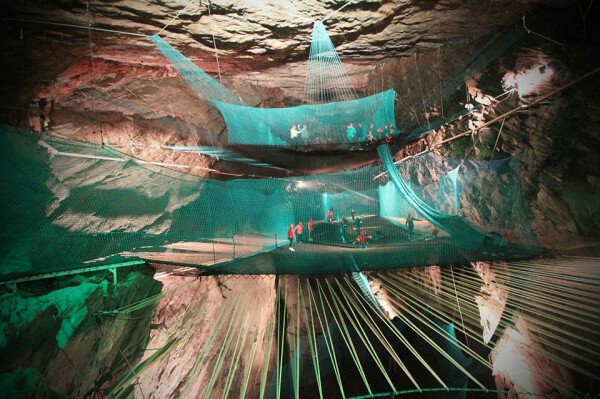 Filed under a phrase I never thought I’d hear, a new “cave trampoline” has opened in the Welsh town of Blaenau Ffestiniog. 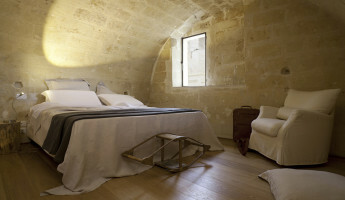 A massive slate quarry cave has been given new life with a pair of large, rugged trampolines that stand far above the cave floor. 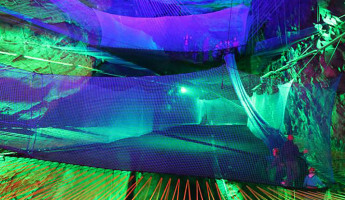 Guests are invited to bounce on either cave trampoline platform — connected by a 60 foot slide — and enjoy a colorful light show in the process. 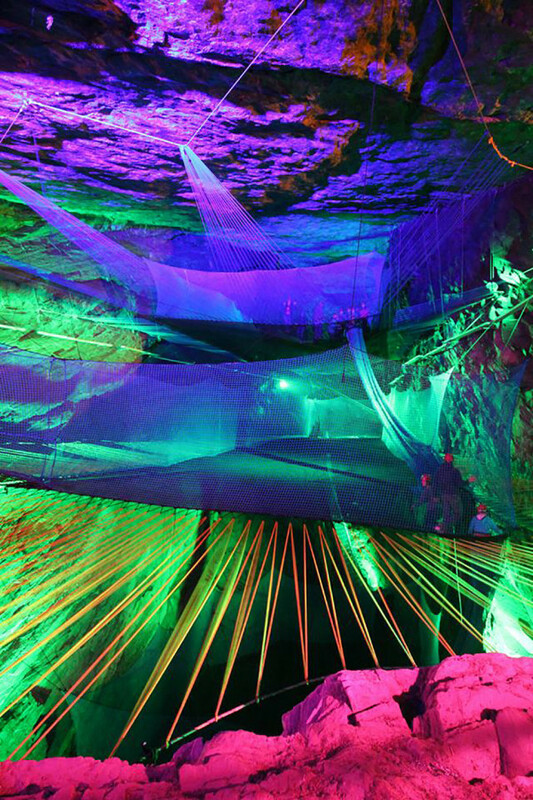 The caves walls are illuminated from every angle with fluorescent purples, greens and blues while guests bounce away on the world’s only cave trampoline. 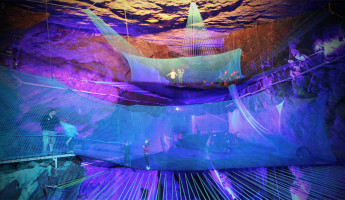 This slate quarry isn’t only home to the world’s first cave trampoline, it also boasts the world’s longest zip line. While the zip line is based above the surface only, guests can work out a little of their adrenaline on these trampolines after a long ride on the zip line above. The line, named Zip World Titan, has been open on site for some time. 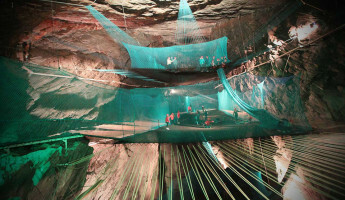 The proprietor was interested in adding a new attraction to the offering here in Blaenau Ffestiniog, Wales, and was inventive enough to think of placing a cave trampoline in the empty space below.